-- Psychotherapist Kate Huntington is having a rough autumn. Someone’s been sending anonymous and vaguely threatening notes to the counseling center where she works, and now she’s being sued for malpractice, for supposedly planting false memories in a client’s head. There is one bright spot. She’s falling in love. Now if she could just get the ghost of her dead husband out of her head. As the budding romance is heating up, the note sender ups the ante and is threatening to “destroy” Kate’s family. Can things get any worse? Yes, they can. Kate becomes a murder suspect when a party in the lawsuit ends up dead. Her good friend, lawyer Rob Franklin, still has some misgivings about her too-handsome-to-be-trusted suitor. 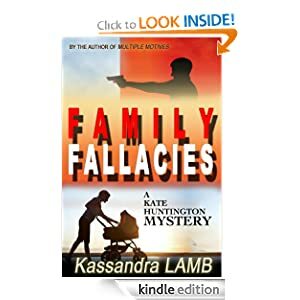 But now the two men must work together to support the woman they both love, and help her stop a killer... before he or she comes after Kate’s baby girl.